← No Fair, Moda; No Fair. 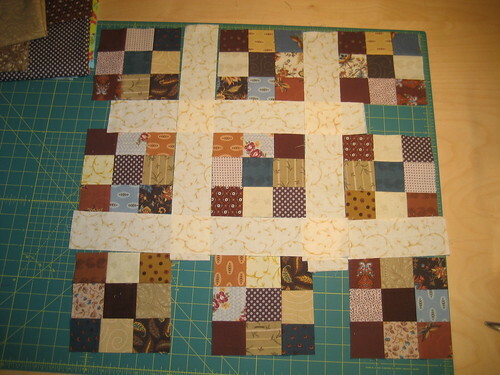 I have 45 blocks all pieced and squared… at least in one direction. 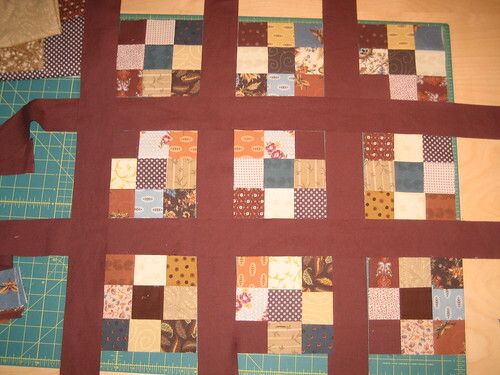 The length should be 6″, the width of the quilting ruler, so they were easy to square up that way. Until this very second, I had thought they needed to be wider than they were long, which is silly. So, I need to square them up the other way, too. They’re square! They’re ready to… be sashed! Or, “have sashing attached,” or whatever the process of putting strips of cloth between them is called. I’m debating between a dark brown and maybe an ivory. I didn’t have any light fabric stripped out, so I threw some lighter patterns on there to squint at. I’m just glad this part is done, and soon the whole top will be, too. 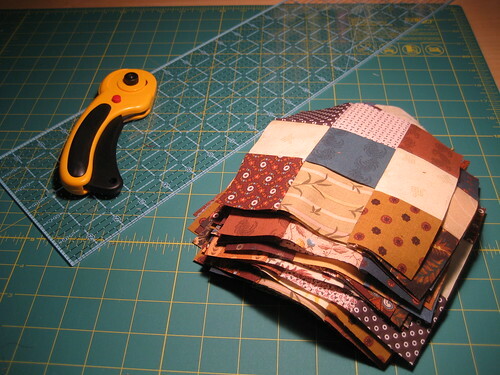 Then, maybe, I’ll have the courage to cut into something beautiful and try to make something nice. 2 responses to Cliche Blocks Are Done! I second the darker sashing.